Portland, you have my heart! Paige and I are back from Portland with such fond memories and so much more love for Blythe and the community. This was my first BlytheCon, but definitely not my first time being a vendor. I've attended quite a few handmade craft shows as a vendor, and I have to say BlytheCon was a smashing success and I could not have asked for a better experience! 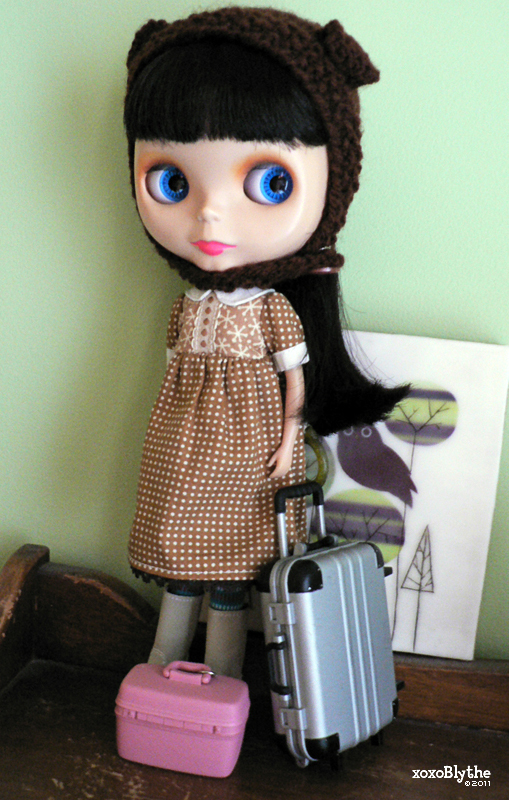 Paige is all packed and ready to head to BlytheCon 2011! We are SO excited to attend our first BlytheCon and can't wait to meet old friends, new friends, and friends we have known for so long but have not yet met in person!